Are Vintage Engagement Rings Really Old? Selected rings that come from past decades and eras with prices ranging from inexpensive to very costly are called vintage engagement rings. These days though, the term vintage can be applied to rings that are not necessarily genuinely old as they can be recreated from the genuine ones. Each era or time period has unique designs. In the world of jewelries, these eras are Georgian, Early Victorian, Mid Victorian, Late Victorian, Arts and Crafts era, Art Nouveau, Edwardian, Art Deco and Retro. Vintage engagement rings may come generally from1930s to 1950s. During the Edwardian era of 1905 to 1915, filigree wedding rings were introduced into the jewelry showing off its nature of complex designs made meticulously by hand. By 1920s to 1930s, during the Art Deco times, these vintage rings reached their height of popularity. To this date, the romanticism that these rings inspired with its grand intricate designs made filigree vintage engagement rings extremely fashionable. Care must be taken when one decides to purchase the perfect vintage engagement ring. Make sure thorough examination of these rings are done as they are very complex in its designs that are usually embellished with tiny stones. Find out about the necessary services needed for repairs and consider the extra maintenance fees too. When purchasing a vintage ring that is made of a gemstone, be aware that it is more fragile and vulnerable to time and everyday use as it is much softer. In choosing this type of vintage ring usually tiny flaws may be ignored if you are in favor of its age. Vintage rings that are usually old rings that have stood through time are often accumulated with oils, dusts. They may not exhibit the kind of sparkle of a newly made ring. However after a thorough cleansing by the jewelers upon request, they can be transformed. Verification of your vintage engagement rings worth can be done by a trustworthy jeweler and you can also get it insured if its necessary. Due to the delicate nature of these vintage rings, it is best to give them the proper care that suits their needs. Know that to make them last longer, do not wear them while you are engaged in yard works, cleaning or while playing sports. A routine check to detect for loose settings, bent prongs and other damage can also be done by a jeweler. Do not use over-the-counter chemicals to clean these vintage rings yourself as this can cause more harm to it. 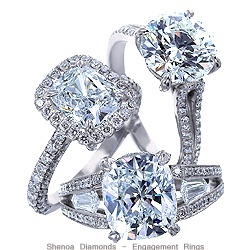 The right cleansing should be done by a professional that is experienced with vintage engagement rings. Vintage engagement rings that are recreation of the old antiques are affordable. They imitate the intricacy of the old rings design with new bands and stones. As they are new, they offer the higher quality and durability as the materials used today are sturdier than the ones used decades ago. Proper care that is given to maintain vintage engagement rings keeps them longer lasting. Whether they are the true antiques or imitation of the original, vintage engagement ring has a kind of timeless quality to it. They symbolize love with far more depth than what modern rings can offer. These rings are cherished and passed down for generations. This entry was posted in Antique engagement rings, Diamond rings, Engagement rings, Jewelry engagement rings, Vintage engagement rings and tagged ags, Antiques, art deco, arts and crafts, bands, complex designs, delicate nature, designers, dusts, Edwardian, edwardian art, engagement, engagement ring, engagements, eras, everyday use, fashion, filigree wedding rings, gemstone, generalizations, inspiration, insurance, intricacy, intricate designs, jeweler, Jewelers, jewellers, jewelries, jewelry, love, maintenance fees, necessary services, prong, prongs, ring, rings, romanticism, s, settings, sparkle, suits, tiny flaws, tiny stones, unique designs, victorian, victorian arts, vintage, vintage s, wed, wedding, Weddings on August 13, 2009 by Donald.